These high quality distressed leather guitar straps feature reinforced double stitching backed with leather. 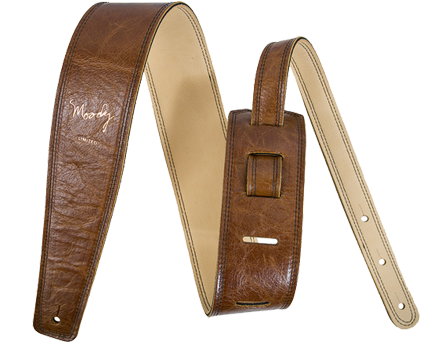 Add this eye-catching, 2.5-inch, brown and cream distressed leather backed strap to your collection of high quality guitar accessories. Our brown and cream leather backed guitar strap is handmade and comes with double stitching, which makes it both durable and distinctive. Once more, our original guitar strap is made in the United States! It comes in a choice of three configurations, which makes it comfortable, whatever your height and build.